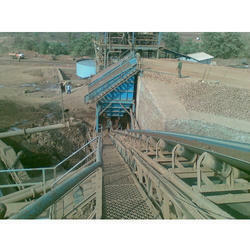 With the support of a diligent team, we are involved in manufacturing and supplying high-quality Lime Calcination Plant. 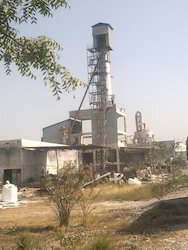 Our offered plants have intensified uses in lime industries for calcination processes owing to their single shaft design and mix-fire systems. These kilns are manufactured by utilizing finest grade raw materials and advanced technology, which makes them robust and rust-proof. Our offered kilns are widely accepted in the market for their easy customization, precise controls and low fuel consumption. Equipped with external burners and inside special refractory structures, that allow a homogeneous heat distribution in all the kiln cross section. These kilns allow the use of a wide range of fuels, alternate and/or contemporaneously. For more than ten years kinc has maintained sustained edge in thermal processing technologies. We have been supplying a durable line of thermal processing equipment for over decade. Our designs can address a vast array of bulk solid materials and processing requirements. 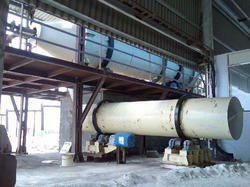 Kinc supplies high temperature, refractory lined kilns for a number of applications and industries. We offer uniquely designed china clay calcination plant, which operates on Natural Gas or Producer Gas or Furnace Oil fuels. The plant is capable is complete in all respects i.e. from Filter Press cake with moisture more 20% to the final micronized calcined product. The product is at par in quality with international players. We stand as one of the leading manufacturers of Zinc Calcination Plant manufactured from superior quality of raw materials. Some of the attributes of these machines are durability, robust, efficiency and cost effectiveness. These are fired with Petcoke, Oil, Gas and Coal Gas. We also provide dual fire option as well. 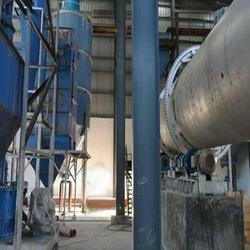 We have full devout in manufacturing and supplying a wide assortment of Calcination Plant. Our offered plants are much-applauded for their sturdiness, efficiency in performing exothermic and endothermic processes and multiple flow design. Owing to these aspects, these kilns have intense use in cement, aluminum and iron industries for mineral processing, calcination and roasting processes. 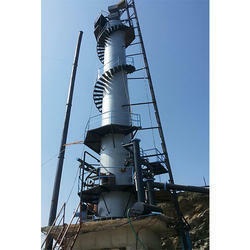 Moreover, we supply these plants to our customers at competitive market rates. KINC is an industry leader in the field of thermal processing. We have been supplying a durable line of thermal processing equipment for over 10 years. Our designs can address a vast array of bulk solid materials and processing requirements. KINC supplies high temperature, refractory lined kilns for a number of applications and industries. All designs are developed with efficiency, durability and process flexibility over a decade of time period. We stand as one of the leading manufacturers of Bauxite Calcination Plant, manufactured from superior quality of raw materials. Some of the attributes of these machines are durability, robust, efficiency and cost effectiveness. 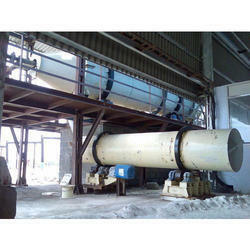 Available in Capacity from 2 mt/hr up to 50 mt/hr, these are fired with Petcoke, Oil, Gas and Coal Gas. We also provide dual fire option as well. Pyrophillite Calcination Plant also known as Rotary Kiln systems are used to perform either endothermic (heat absorbing) or exothermic (heat liberating)processes. Designed in-house, systems to operate in parallel flow and counter current flow configuration. Supplied rotary kiln units for mineral processes, calcining,oxidation catalyst recovery or treatment, and waste incineration from a number of sources. We stand as one of the leading manufacturers of Gypsum Calcination Plant manufactured from superior quality of raw materials. Some of the attributes of these machines are durability, robust, efficiency and cost effectiveness. These are fired with Petcoke, Oil, Gas and Coal Gas. We also provide dual fire option as well. With the support of a diligent team, we are involved in manufacturing and supplying high-quality Sulphur Free Lime Calcination Plant. Our offered plants have intensified uses in lime industries for calcination processes owing to their single shaft design and mix-fire systems. These kilns are manufactured by utilizing finest grade raw materials and advanced technology, which makes them robust and rust-proof. Our offered kilns are widely accepted in the market for their easy customization, precise controls and low fuel consumption. We stand as one of the leading manufacturers of Calcined petroleum Coke Plant, manufactured from superior quality of raw materials. Some of the attributes of these machines are durability, robust, efficiency and cost effectiveness. These are fired with Petcoke, Oil, Gas and Coal Gas. We also provide dual fire option as well. 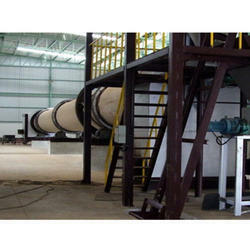 We are engaged in engineering, supplying and exporting a high quality assortment of Titanium Dioxide Calcination Plant. These offered plants are fabricated by using premium quality parts, material and advanced technology in compliance with international quality standards. 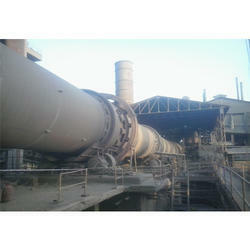 Offered in capacity from 2 mt/hr up to 50 mt/hr, these plants are fired with petcoke, oil, gas and coal gas. This plant is known for its high durability, reliable performance, easy operation, low maintenance and sturdiness. 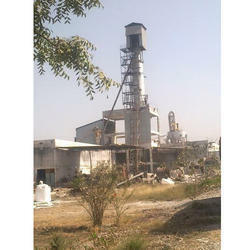 Our this Titanium Dioxide Calcination Plant can be availed from us at industry leading rates. Looking for Calcination Plants ?